Image courtesy of the Black Bird Press News & Review blog. Where is your fire? I say where is your fire? Can’t you smell it coming out of our past? The fire of Blackness. . . Not gangster shadows. 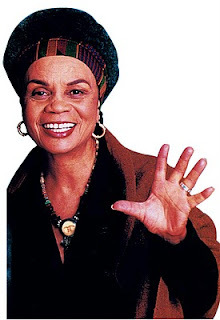 Sonia Sanchez is a phenomenal writer, poet, playwright, storyteller, educator and activist. 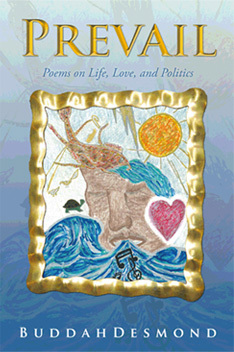 Sanchez, one of the most influential poets of the Black Arts Movement, has written nearly 20 books of poetry and prose. Her poetry is rich with imagery, history, culture and emotion. Her words have the ability to incite the mind, warm your heart and touch your soul. And she makes it look so easy. Sonia Sanchez originally published “Catch The Fire” in Wounded in the House of a Friend (1997). “Catch The Fire” was also featured in (and inspired the title of) Derrick I. M. Gilbert’s Catch The Fire: A Cross-Generational Anthology of Contemporary African American Poetry (1998). For more information about Sonia Sanchez, please go to: www.soniasanchez.net. This entry was posted in Black History Month, Community Wellness, Influence, Inspiration, Motivation, Poetry, Sonia Sanchez by BuddahDesmond611. Bookmark the permalink.